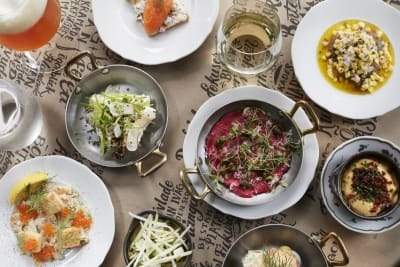 This autumn, Test Kitchen kept with the themes of the season and invited up-and-coming Finnish-Kurdish chef Kozeen Shiwan to Hong Kong to present a three-day vegetarian pop-up dinner – a surprising first for this dynamo pop-up expert. Chef Kozeen’s background held a lot of promise before he even stepped into the kitchen; stories of his multicultural upbringing and experience at Helsinki’s Luomo and Belgium’s In De Wulf – both now shuttered – precede him, and he is also proud to have a slew of art exhibitions under his belt. When we say that this dinner was unlike anything we have ever come across before in our handful of years at Foodie, we mean that it was whimsical beyond expectation and refreshingly unique. 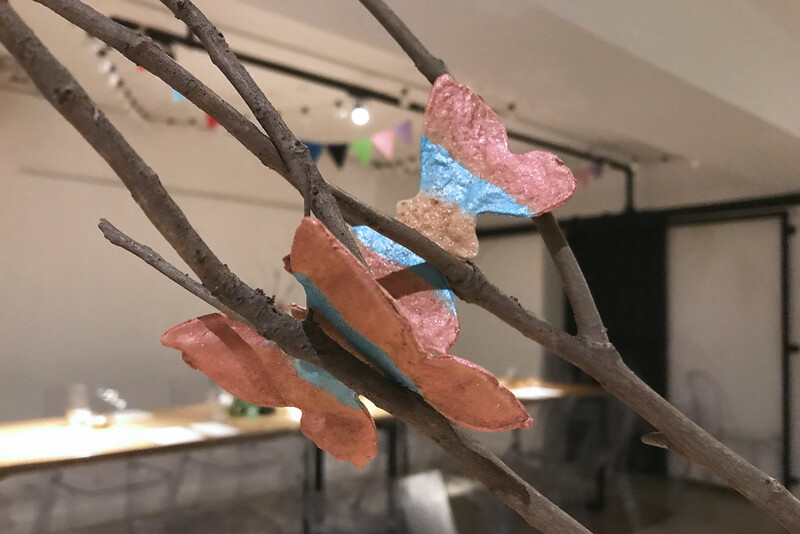 Our table was set with an ornament made by Chef Kozeen himself, a playfully simplistic portrayal of a tree; foraged branches, on which a quartet of rustic butterflies nestled, sat on a moulded base. Little did we know this artistic display, Forrestfly, was the loving cradle of our first course. With encouragement from the chef, we gingerly picked the hand-painted butterflies off and bit into salted, crusty flatbread dusted with glitter. Paired with Marry Gold, a glass of what tasted to us like sparkling apple juice for adults, this was plenty to pique our interest. 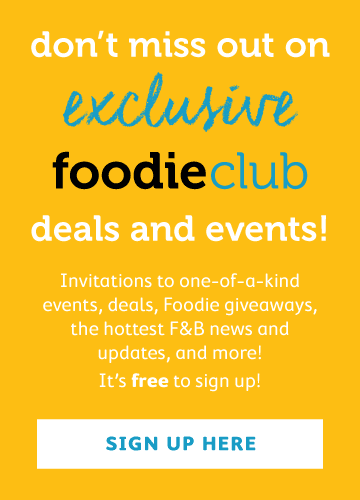 Homemade, foraged and aged are the keywords that drive Chef Kozeen’s endeavours in the kitchen. Our next round of appetisers, bread and vintage vegetables and radish and herbs, were a yin-and-yang duo centred around ingredients that the team had scavenged in the wild, both in Finland and the farmlands of Hong Kong. The rustic flatbread served on a bed of leaves and twigs seemed innocuous enough at first, but the devil’s in the details – or, rather, the dust. 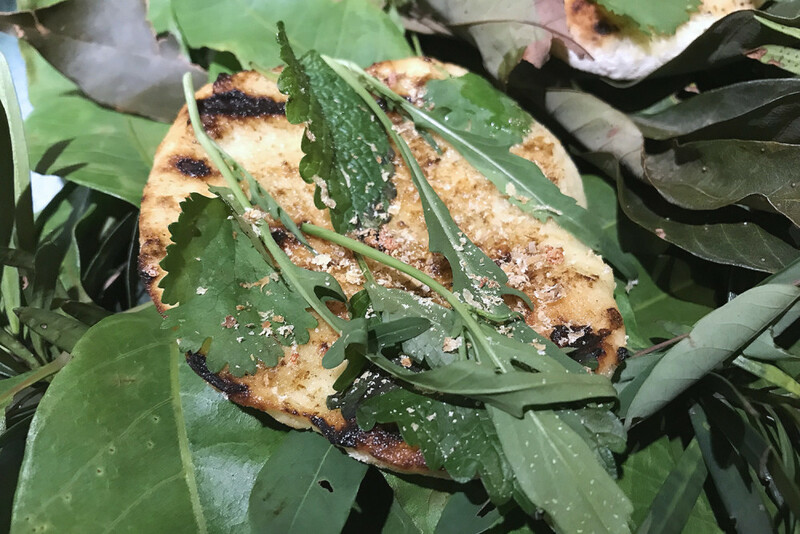 Topped with rocket and a light shaving of “vintage” vegetables from the chef’s collection, the unusual seasoning of aged greens made the simple flatbread an umami-rich stunner and one of our favourite dishes of the night. 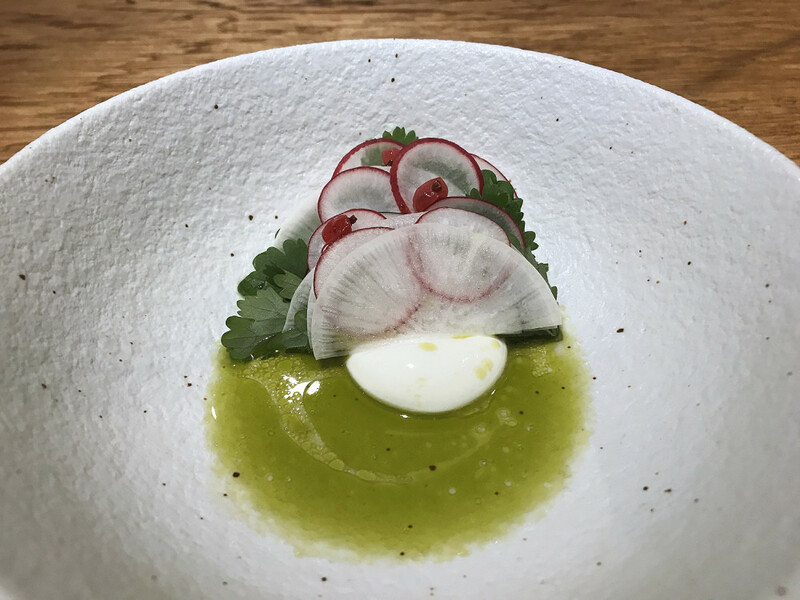 The radish and herbs dish, in contrast, was refreshing, sweet and delicate, made up of thinly sliced local radish and daikon in a verbena sauce with freshly made yoghurt and foraged berries from Finland. The wonders kept coming, getting better and better with each dish. Looks were deceiving at this pop-up dinner, and few dishes more so than the greens. Simple and understated in its presentation, this dish of grilled broccolini was anything but. We were treated to a sumptuously flavoured dish with a multitude of different textures, ranging from tender to delicately crisp, all in one humble vegetable that was drizzled in a sauce of egg yolk, miso and brown butter and served with a side of puréed greens – cabbage, kale, chard and mustard greens – flavoured with black lime powder. A modern reinvention of the Middle Eastern classic dolma was next. Rather than cocoon the filling in a vine leaf as is traditional, Chef Kozeen’s deconstructed take saw steamed rice mixed with cucumber, tomato and onion spiced with an elaborate concoction of dill, mint, lemon zest, parsley and ginger that was formed into a mound and covered with a crown of spinach leaves, served with a sour sauce of yoghurt and dill oil. An appropriate end to the mains came in the form of a behemoth – and not only because of its sheer size. 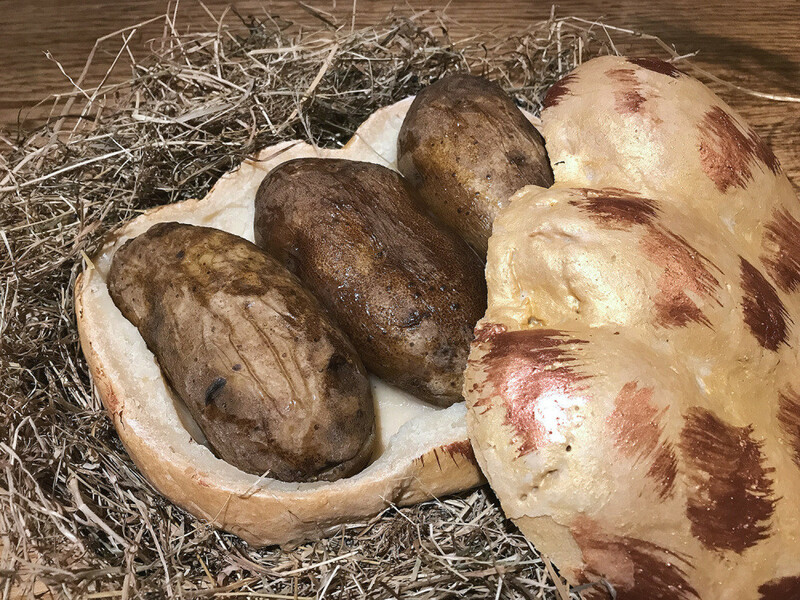 A trio of jacket potatoes – charmingly named king potato – was baked in a salt crust shaped like a loaf of bread and presented to impressed coos of appreciation. The giants fluffed apart, steaming, at the touch of our forks, already perfectly seasoned through the salt crust. They were well complemented by a dipping sauce of roasted yeast mayo, smoked butter and smoked ash oil. 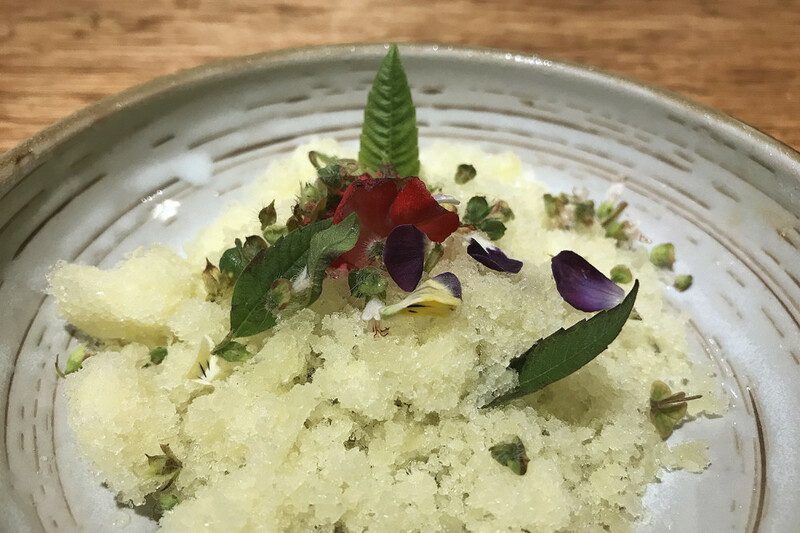 We finished off with citrus ice, a mound of crushed iced honeydew melon topped with foraged flowers from Fanling and Chef Kozeen’s own collection from Finland. This was subtle, refreshing and a thoughtful transition from the heavier dishes. The final surprise came in the form of Jerusalem artichoke and white chocolate accompanied by Flowerfly. 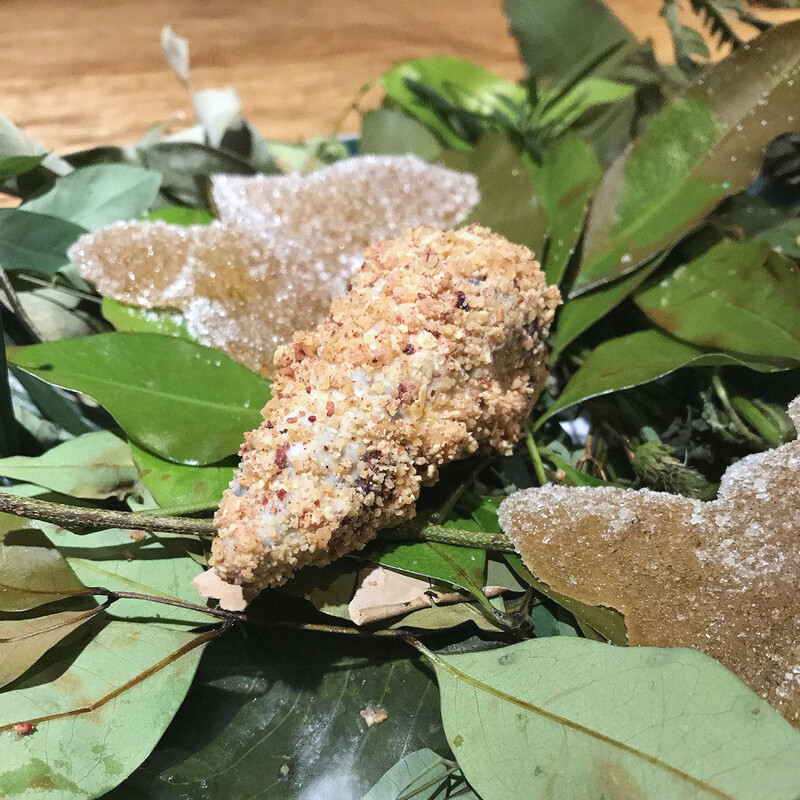 It took us a moment to warm to the artichoke dipped in white chocolate, but the varying textures of crumbly, crunchy and silky did plenty to occupy our thoughts. Flowerfly turned out to be celeriac that was shaped into gelatin-like butterflies. This completely surprised us with its strong sugary, sour and savoury notes all in one neat little package. It wasn’t until the end of our meal that we remembered that this had been a wholly vegetarian experience. 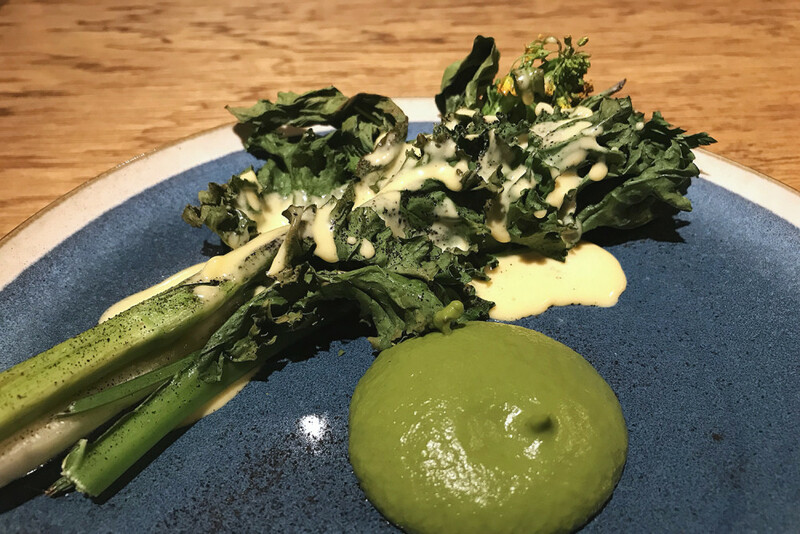 To a carnivorous palate, Chef Kozeen’s plant-based menu was rich and unique enough in flavour to cause a momentary lapse of meat craving. Chef Kozeen thinks of his accomplishments in the kitchen as “provocative, visual [and] loud storytelling”. Having taken part in his brand of narrative, we are inclined to agree. 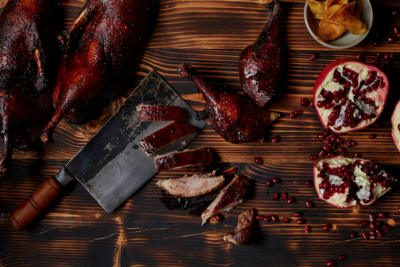 In his pursuit to share more than just food with his guests, he manages to create a uniquely fanciful experience that successfully combines his multitude of different artistic interests. From offbeat visual fancies, to rare, personalised ingredients, to a culinary approach that toes the line between totally wacky and painfully chic, Chef Kozeen Shiwan is at the forefront of a new kind of gastronomic movement that might just revolutionise the hospitality industry. We’re going to keep a close eye on this one, that’s for sure.